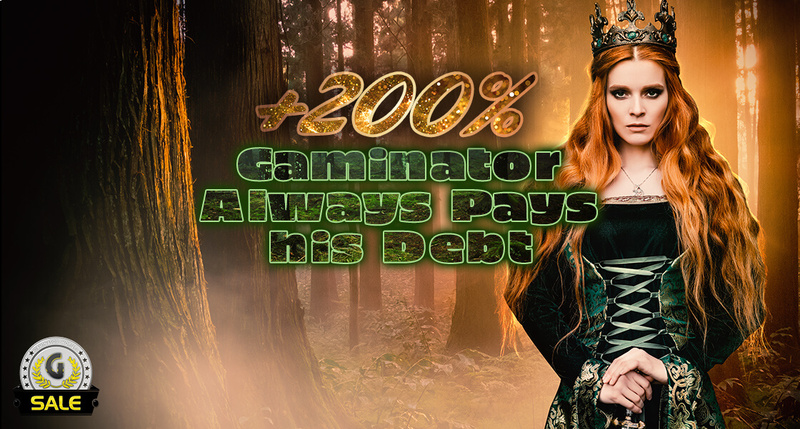 The Gaminator always pays his debts! You’ll never see him, or come close to him, but everything that happens is because he bids it to be so. Yes, the Gaminator rules these lands. But he is a benevolent leader, and rewards those who work hard. Which is why he has 200% EXTRA on purchases for you in the shop!